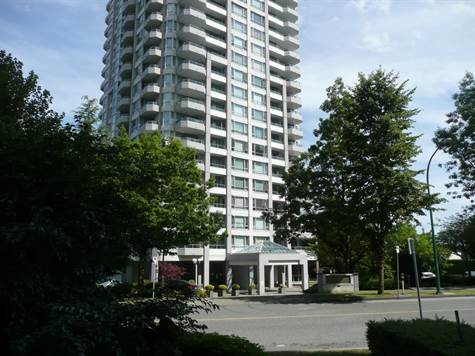 "Heart of Metrotown" " THE EVERGREEN" Fully Rainscreened, updated with new roof, exterior doors, windows, balconies, re-piping, pumps, boilers, hallways/lobby, carpets and warranty. ( Move in with peace in mind) Enjoy this spacious layout of 912 sq ft, quiet unit with nice view of the gardens and City Lights. Amazing location steps away from Metrotown Mall, Crystal Mall, Skytrain, schools, parks, Bonsor community Centre and all your needs within walking distance. ( Wheelchair access).